W. was born completely blind, and miraculously gained limited vision following many experimental surgeries. Passionate about bucking the trends of his disability, hespent decades driving, albeit illegally. However, thanks to the work of Seattle’s, Dr. Ross Cusic, W. has finally (legally!) gained his full driver’s license, and has become the first blind person in the State to be accredited with a Bioptic Motorcycle Endorsement. Seattle, Washington – Most people would find the idea of a blind man legally gaining a driving license to be unconventional, unlikely or even absurd. 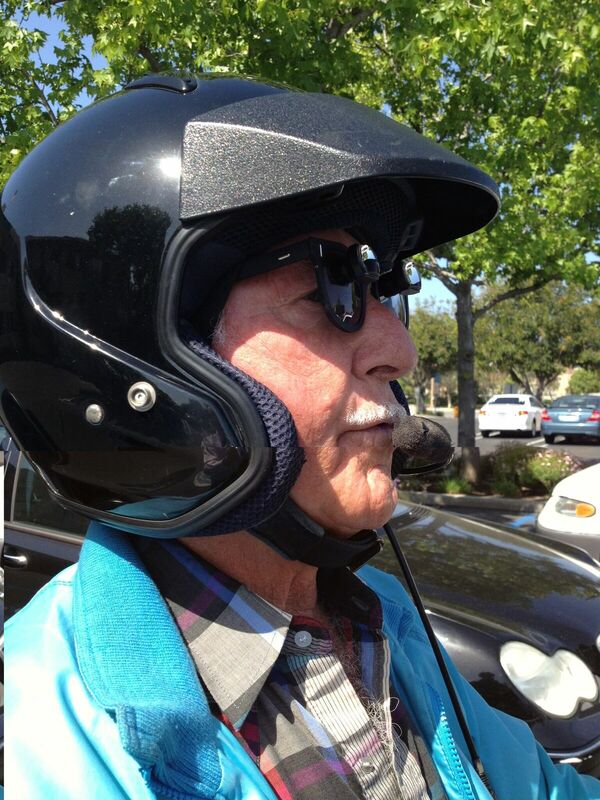 However, thanks to the work of Seattle Low Vision Optometrist, Dr. Ross Cusic, W. is now legally driving day and night, and has become the first person in State to have tagged on a Bioptic Motorcycle Endorsement. Dr. Cusic and W. have forged a strong practitioner/patient bond due to their collective achievements, and are now taking their stories public. Dr. Cusic was met with more than a challenge; something that ended up becoming a turning point in his own career. “Here I was with a blind man in my clinic, who had been driving for years and was looking to finally gain his license legally. I prescribed him a bioptic telescope and helped him arrange an intensive two-week driving course. Now he has legally gained a full license to be behind the wheel day and night, and he’s the first person in Washington State with a Bioptic Motorcycle Endorsement. What a result from a man who was told he would never be able to see! W. has nothing but praise for Dr. Cusic, the man who literally gave him his freedom. “My life has changed since that day in May of 2011 when I got my new bioptic glasses for driving. I jumped through all of the State’s qualification and was cleared. I can now drive day and night legally. A huge weight had been lifted off my shoulders because of Dr. Cusic. These are dreams that I was told would never happen – thank you!” he adds. Dr. Cusic currently sees low vision patients from the greater Seattle Washington area. His patients come from Seattle with a variety of diseases that affect their vision such as Macular Degeneration, Glaucoma, Retinitis Pigmentosa, Stargardt, Albinism, and Vision Loss from Strokes. Read more Low Vision Testimonials.